The default configuration is for new files to be created in an individual users “My Drive”, not shared with anyone. Then they will share that individual file with select people, who then have these files in a mixed “stream” of Shared files (in their “Shared with Me” tab), and suddenly the organization’s core files are complete chaos. Creating a random file in Google Drive dumps it to the users personal area and is NOT shared. With a little bit of configuration and business process optimization, you can make Google Drive work for you. An admin or the business owner should first create the folder structure you want, e.g. by department or other natural organization. In the image above, we’ve got Clients, Design, General product, Sales and Marketing. When you create a new folder, it’ll appear in your own “Drive”, and you can share it from there. For each individual folder, you’ll want to share it with everyone that will need access to the files in that particular folder. Typically this will be departments, plus managers or admins, though you can also use this for specific projects. Just select the add person button top share it, then enter the emails of anyone you want to invite. Choose who you want to share the folder with. This is important – after you share the folder, the recipient will see it first in their “Shared with me” area. They will have to click the “Add to My Drive” button in red below. If you don’t do this, it’ll continue to appear in their Shared with Me, and won’t sync to their desktop (more on that below). Files should only be created from within the shared drive. You’ll know you’re in there when the header says My Drive > Folder name. Then click the New button, and the type of document, and it’ll AUTOMATICALLY be shared with everyone who has access to that folder. Happiness ensues. Installing Google Drive for your Mac or PC will sync all of the folders added to “My Drive” to your desktop or laptop, for offline access. Offline access doesn’t work for Google Docs, Sheets, or Slides, those are just links and will open in a browser, but other files (e.g. Office files, etc.) will open just fine. View folder synced natively to your desktop or laptop. 6 Enjoy file sharing nirvana! With this setup and user training, your entire organization will be on the same page and into file sharing nirvana. 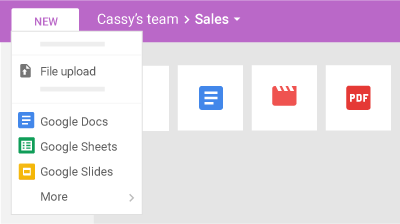 Google has introduced a new Team Drives product, meant to address some of these team sharing issues. You can read more about how to configure Team Drives, and if you need a hand upgrading to G Suite Business to fully leverage this, just let us know. This post was originally published in June 2016, and updated in November 2017 with an update to Google’s new Team Drives product. 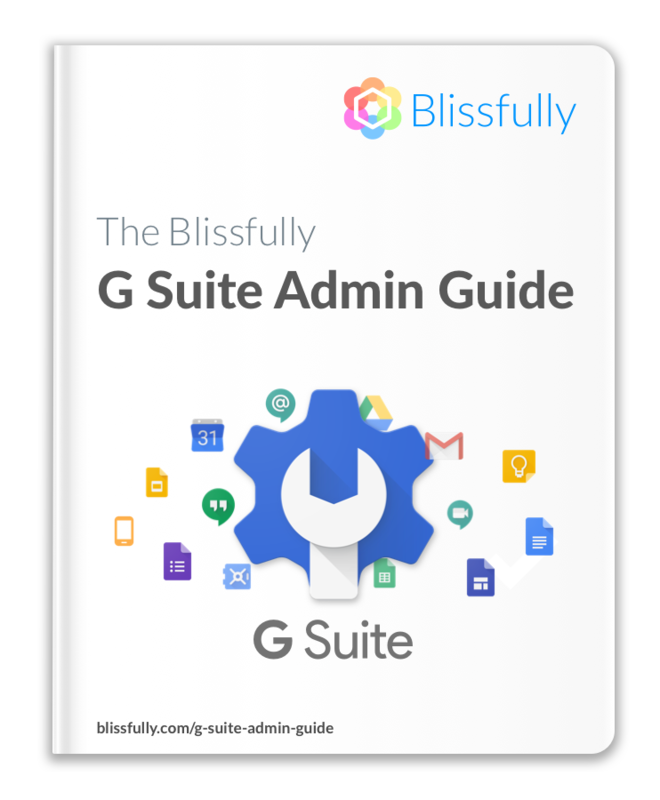 Learn more G Suite best practices and tips in our free guide to G Suite Admin (2018).